Indicative price per sqm for a net of 6.25 sqm. 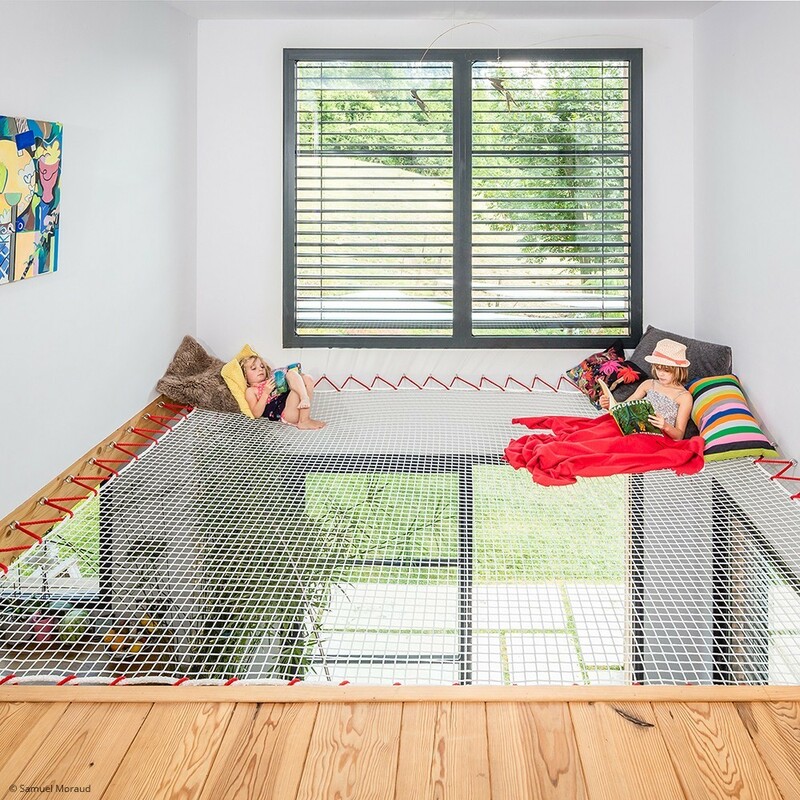 This is THE favorite net among our customers who have installed custom-made horizontal home nets. It combines all the comfort of the braided net and at the same time maintains the clarity of your interior. 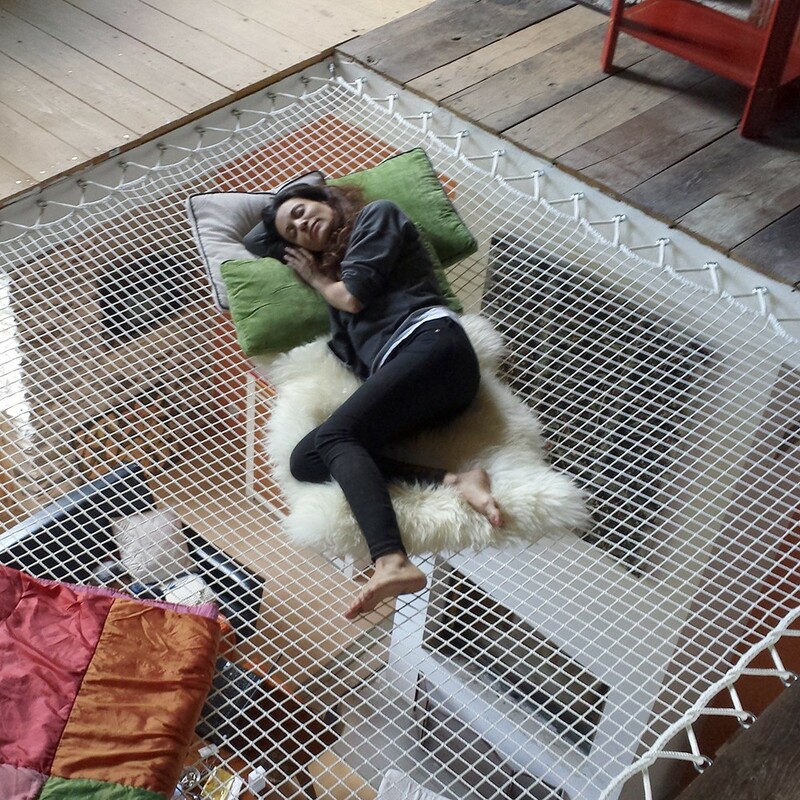 This suspended net is custom-made according to the measurements of your void to fill. These comfortable braided nets are very soft to the touch and are ideal for creating a cozy, relaxing, enjoyable space in your home. 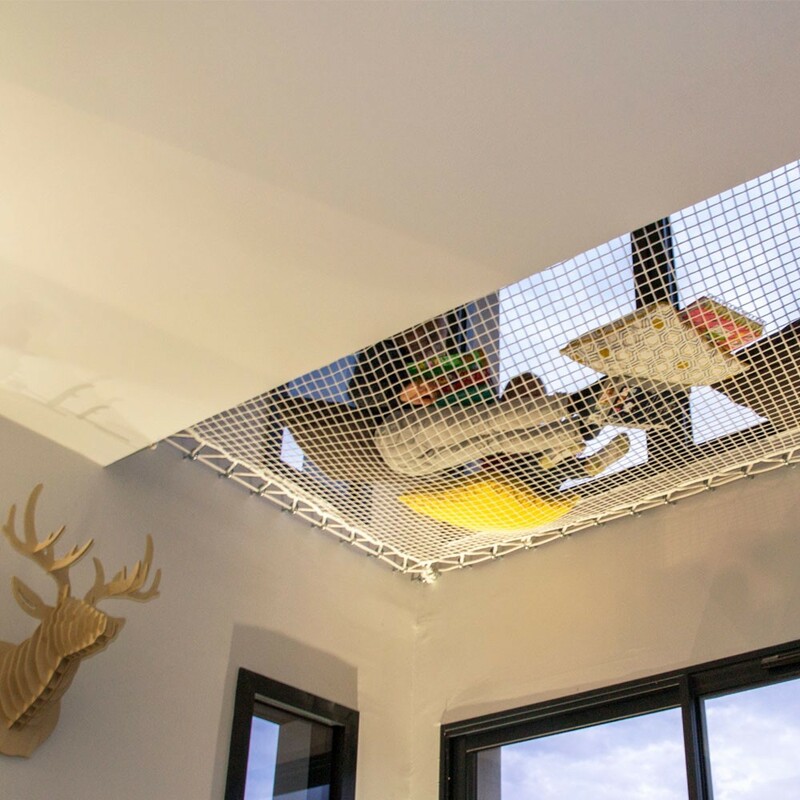 Maintain the clarity of all your rooms with this catamaran suspended net. 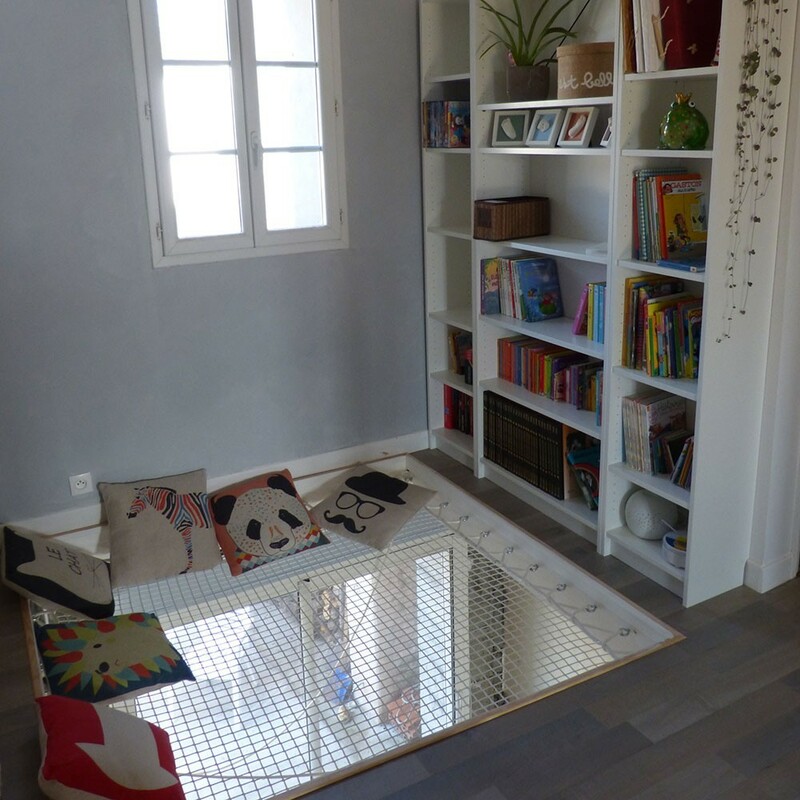 It's a real plus if you have skylights or wish to maintain the clarity of a mezzanine. 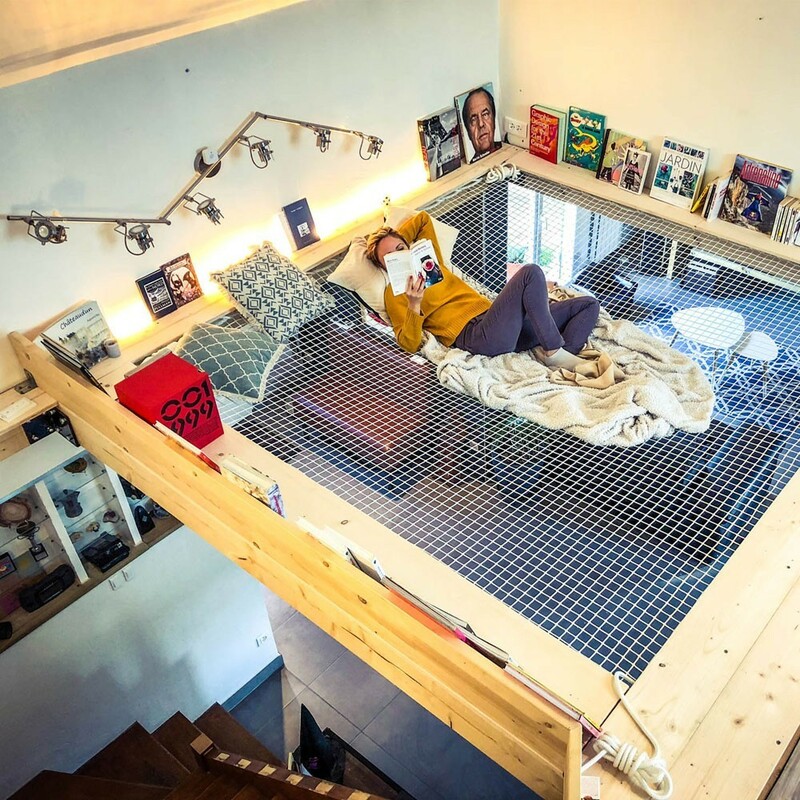 Resistance up to 210 kg/m²: a relaxing place to be shared! 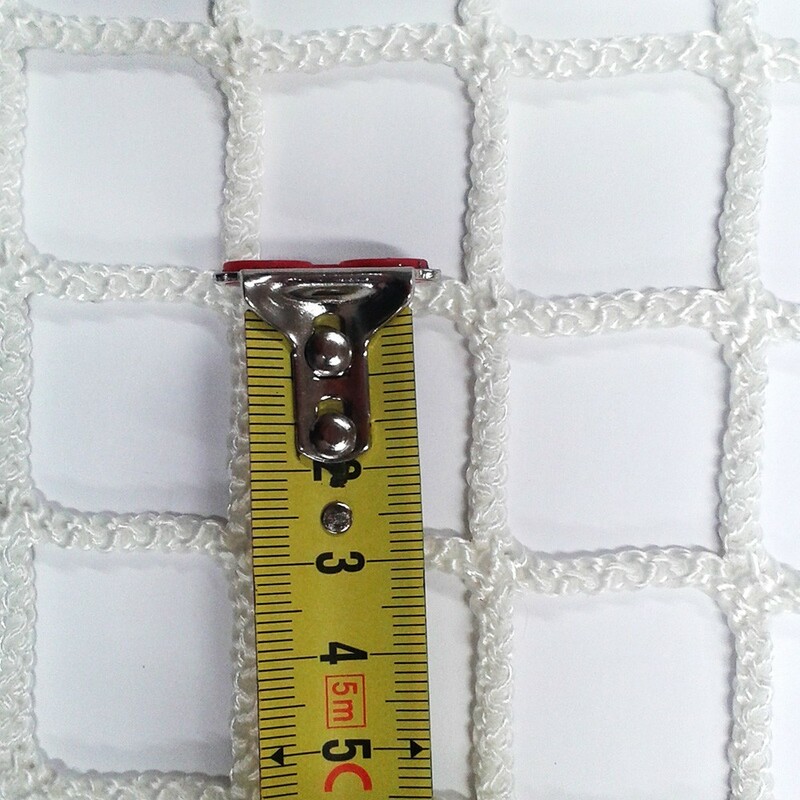 Our polyester mezzanine nets are very robust. They may be used by several adults at the same time, with a maximum of 400 kg on nets larger than 4 m². 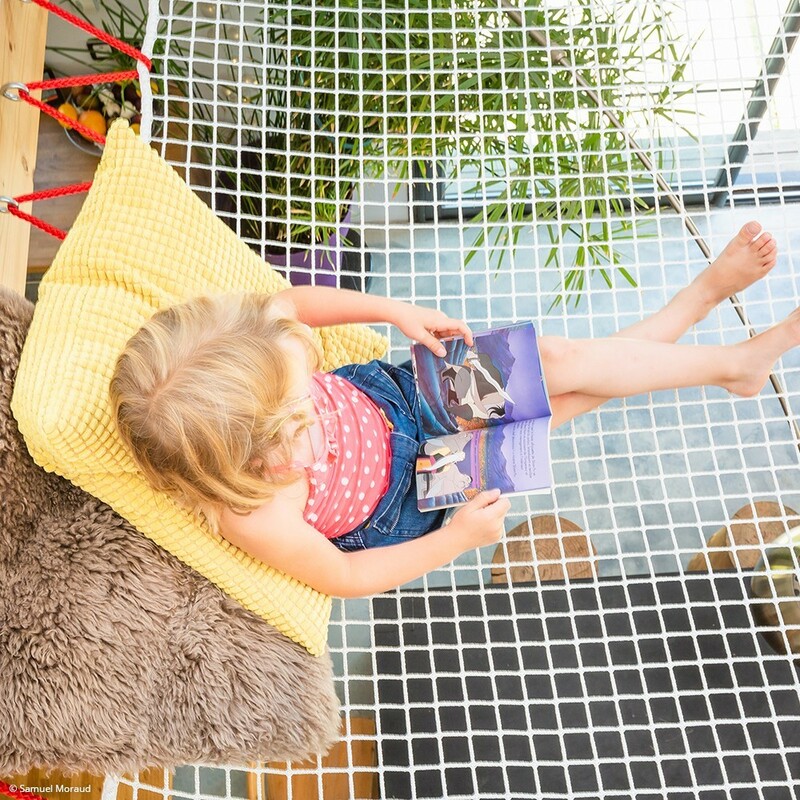 Treated against UV rays and rotting, these nets may be installed both indoors and outdoors. Our nets are also used in the design of trampoline safety enclosures and multi-hull link nets. 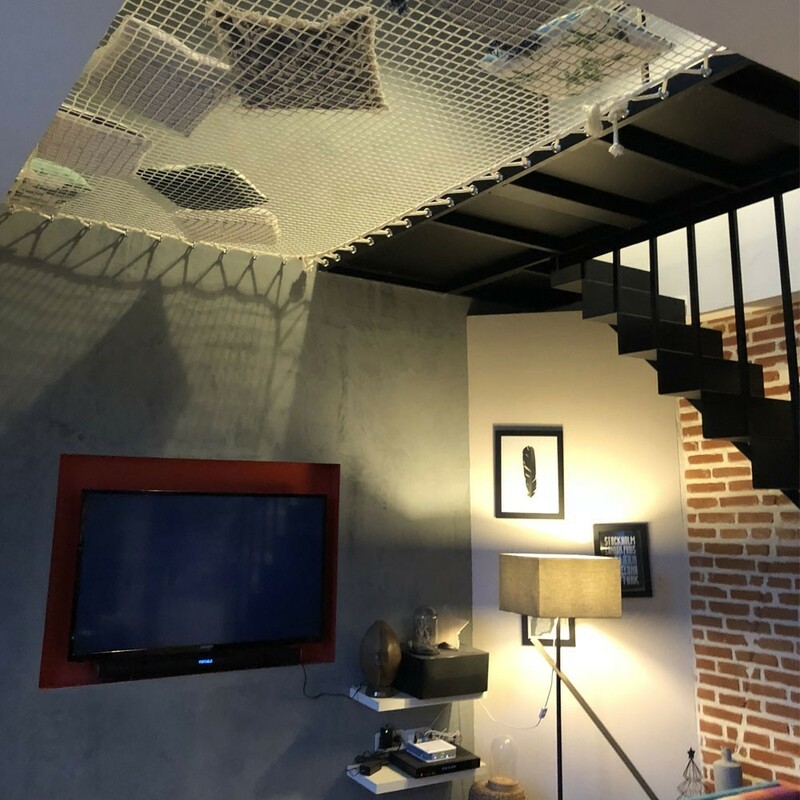 Made of 30-mm braided netting, this net successfully combines comfort and the passage of daylight in a room. 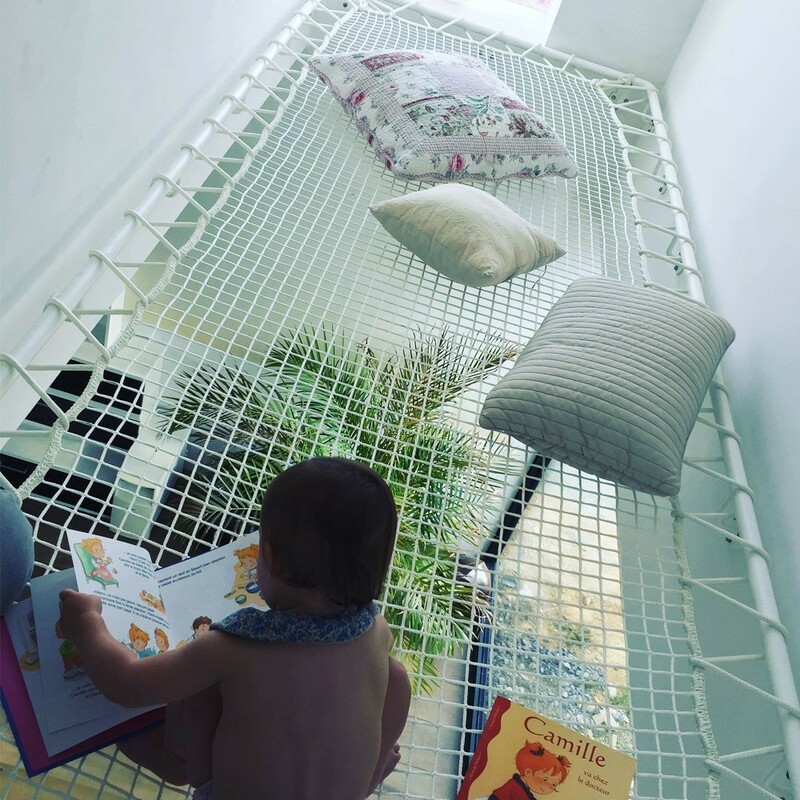 As the number-one net selected by families, it offers a cozy, relaxing area for everyone, while ensuring continuity among the differrent levels of the home.